Two large scale solar farms have been granted planning approval by Meath County Council in the Republic of Ireland, including a 35MW solar farm set to power the country’s only theme park and nearby crisp factory. Over 120,000 panels are set to be installed on land adjacent to Tayto Park in Ashbourne with a reported price tag of €23 million (~£20.3 million). Around a third of the generation of the site, which will have its export capacity limited to 25MW, will be fed into the theme park and factory of Largo Foods. The rest is to be fed into the grid. 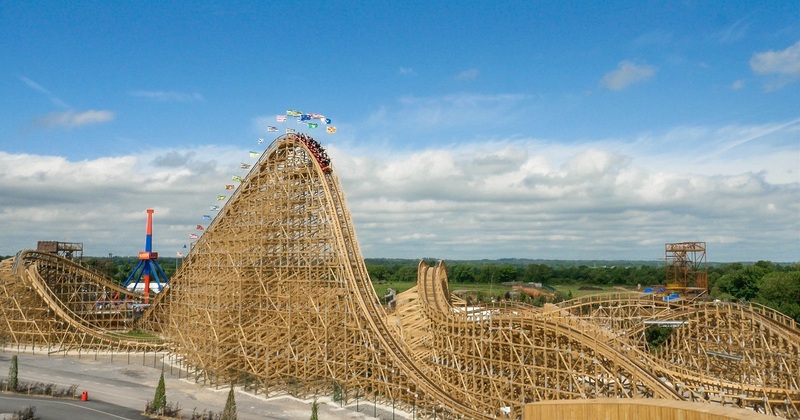 The development, proposed by Tayto Park chairman and former Largo Foods owner Raymond Coyle alongside neighbouring farmer Michael McDermott, faced local opposition from nearby residents who called the potential impact of the project of the rural setting “beyond disheartening”. However, permission was granted by the council on a conditional basis owing to several measures that will need to be taken to limit the impact on the surrounding area. The project will also have to pay up €350,000 (~£308,000) under the development contributions scheme which will be used to in the provision and extension of “social infrastructure”, meaning open spaces, recreational and community facilities and landscaping. Subject to meeting such conditions, Meath County Council said the development “would not seriously injure the amenities of the area nor lead to a devaluation of adjacent property”. The approval for Tayto Park’s solar farm comes just weeks after the same council approved the 51MW Ballymacarney solar farm proposal by JBM, which itself will have to pay €510,000 (~£449,500) in development contributions. The Irish developer plans to build the project under the Renewable Energy Support Scheme (RESS) currently under development by the Department of Communications, Climate Action and Environment. Brendan O'Brien, founder and director of JBM Solar Ireland, told Solar Power Portal: "Ballymacarney Solar will make a small but meaningful contribution to Ireland meeting its legally binding CO2 reduction targets, thereby helping the country to avoid potentially significant EU fines beyond 2020. "JBM looks forward to a favourable government announcement in the coming weeks in relation to the structure of the new Renewable Energy Support Scheme. Assuming a suitable support scheme is forthcoming, this project could be commissioned in the next 18 months." While it was recently revealed that the RESS would seek to support up to 4.5GW of renewable electricity by 2030, current plans would see solar compete in technology neutral auctions against other generation technologies. Ireland’s solar pipeline is already thought to stand at ~6GW, with Amarenco’s CEO John Mullins, recently stating that only 300MW of ‘shovel-ready’ projects with both a grid connection and planning permission will likely get built.